E-Stream Systems, Inc. has been in the printing business for more than 20 years! 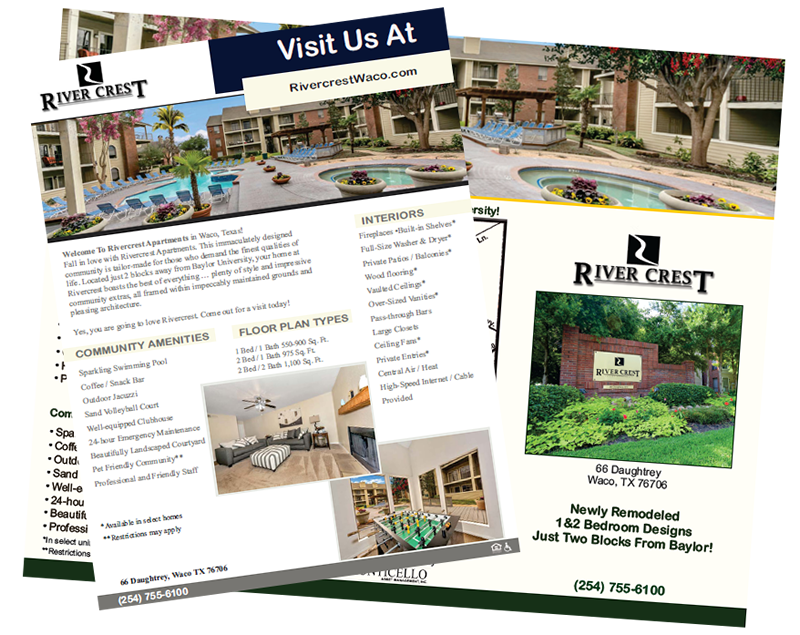 We've printed and published everything from Apartment Rental Magazines, to brochures, postcards, and more! From economical tri-fold brochures, to extravagant multi-layered pocket brochures to postcard print and mailing service, we would welcome the opportunity to assist you with your next print project!